The Franklin D. Roosevelt Four Freedoms Park, located on Roosevelt Island across from the United Nations, celebrates the life and legacy of President Roosevelt. In his 1941 State of the Union speech, FDR addressed four freedoms that he suggested should be the expectation of everyone, worldwide: freedom of speech and expression, freedom of worship, freedom from want and freedom from fear. The park, opened in 2012, pays tribute to the significance of Roosevelt’s speech. 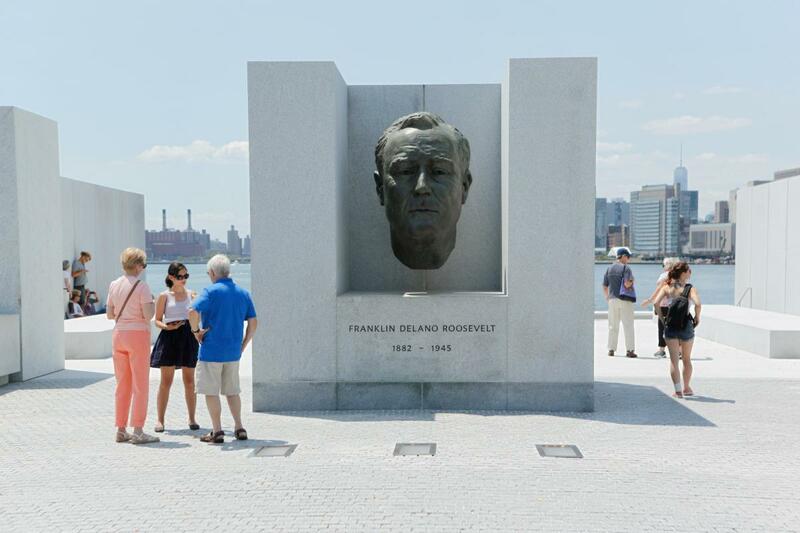 Architect Louis Kahn (who died before the construction broke ground) designed the site in a triangular shape to draw focus toward the southern tip of the island, which is where a bronze bust of Roosevelt by American sculptor Jo Davidson is located. For more information, including how to travel to the park, visit fdrfourfreedomspark.org.